The history of go started in the ancient China approximately 4000 years ago — this is the only fact historians and archeologists agree about. Everything else is only theory. The most established among these is that in prehistoric times the early go-board and the stones were used to predict the future. From these materials it evolved to the first modern board game, which is played consantly since than. 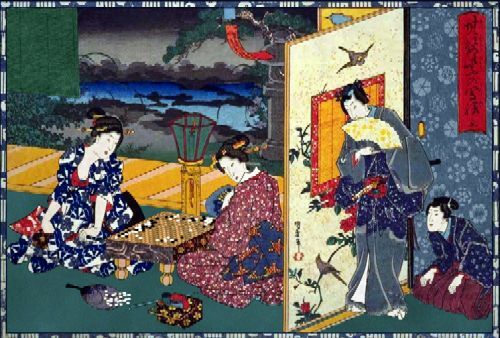 The game of go is very simple and very complicated at the same time. The rules are easy to understand even for a four years old child, but the game itself is so sophisticated that computers can't keep up with it: even the strongest go playing computer program can be beaten by a beginner after a few months of practicing. In Hungary go was spread by Pál Erdős, the famous matematician. In 30 years Hungarian players made it into the European front–line, but there is still a huge gap beetween the strongest masters of the Far East and them. Some players were even studying in go–schools of the Far East, and maybe with their help once we will be able to bring up young talents who could cope with the best players. The Hungarian Go Association was founded in 2005, for the purpose of joining the goclubs existing all over the country since decides together. The Hungarian Go Association's main purpose is to create the conditions of a well–functioning sport, and to provide community to those who got to know and got to love this ancient strategic boardgame.